One feud down but there are still a quite few more to go. 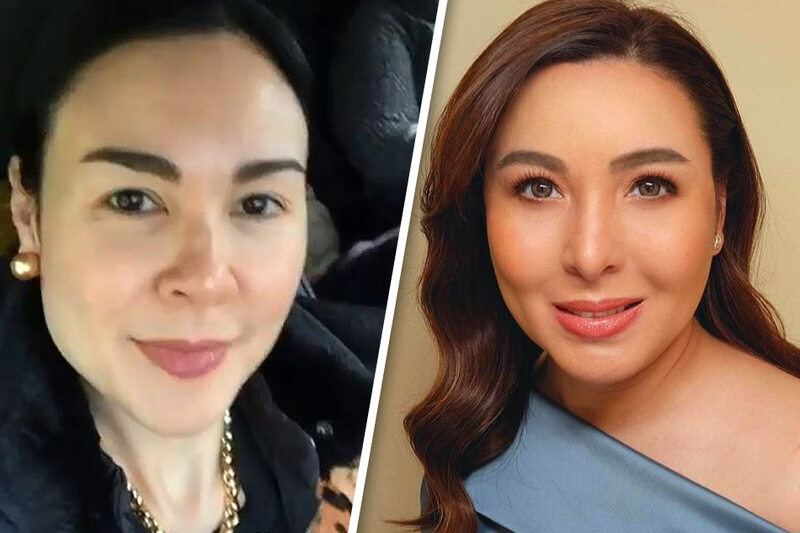 Many tuned in to Gretchen and Claudine Barretto’s Instagram Live session over the past week, where they talked about how they patched things up. They threw jokes about forgetting who was responsible for their fight in the first place, gushed over each other, and acted all sweet and sisterly –exchanging hugs and kisses throughout. They also touched on a bit their relationship with their other sister, Marjorie, insinuating that there’s plenty of drama within their family, still, despite all their newfound positivity. And this one with Marjorie is showing few signs that it’ll end anytime soon –given how this sister of theirs is choosing to keep quiet, replying to her fans about it with just heart emojis. This was also her answer to those bringing up to her Gretchen and Claudine’s criticism of her eldest daughter, Dani. In an interview with DZMM Saturday night, Gretchen said that she’s “never” going to fix things with Marjorie. “I value my life, my mental health, my peace and my finances. I am not ready and I don’t think I will ever be for Marjorie. She explained that her other siblings, sans Claudine, have been guilt-tripping her about her supposed lavish lifestyle. “For the past so many years I have found refuge, comfort, and a lot of love –I feel so great with the people I’m with and they’re not blood related at all. They don’t need my money, anything else from me, except me. Just me,” she said. She added that Claudine is the only one who does not make her feel this way. In fact, her younger sister has been showering her with gifts instead of asking for one, she shared. Gretchen has been in a relationship with businessman Tonyboy Cojuangco for over two decades. They have one daughter.